"The use of antipsychotic drugs long has been referred to as a 'chemical lobotomy' because they actually can disable normal brain function. 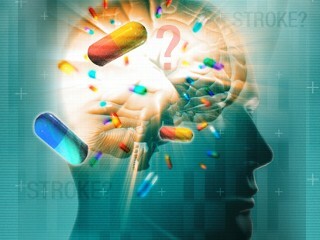 Along with brain shrinkage, antipsychotics also can cause obesity, high blood pressure, high cholesterol and diabetes." Antipsychotic drugs cause brain shrinkage. This is the conclusion of yet another study, considered the largest longitudinal brain-scan data set ever compiled, documenting the adverse effects of antipsychotic drugs on brain tissue. Antipsychotic medications, such as Seroquel, Abilify, Zyprexa, Risperdal and Geodon are not approved for the treatment of children (18 and under) yet, there are nearly thirty thousand children under the age of five currently prescribed this brain-destructive drug. Furthermore, the use of antipsychotic drugs long has been referred to as a “chemical lobotomy” because they actually can disable normal brain function. Along with brain shrinkage, antipsychotics also can cause obesity, high blood pressure, high cholesterol and diabetes. There also is the side effect called Tardive Dyskinesia, which is a potentially irreversible neurological disorder resulting in involuntary and uncontrollable movements, including slurred speech, tremors, anxiety, inability to sit still, inner restlessness, distress and paranoia. And the Food and Drug Administration, FDA, requires antipsychotics to carry a “Black Box Warning,” the most serious drug warning issued by the FDA, as the antipsychotics increase the risk of death in elderly with dementia. Between the FDA and other international drug regulatory agencies, there are no less than 55 warnings on antipsychotic drugs and the FDA, alone, has received more than 120,000 adverse event reports associated with antipsychotic drugs, including diabetes mellitus, pancreatitis, tremor and even death. Professor Andreasen apparently was so surprised by the results of the study that it was held for two years with the belief that the data may be inaccurate. Unfortunately, the data were accurate and Andreasen pondered the effect the data would have on society. Okay, let’s ponder the answer to this question. Antipsychotic drugs shrink the brain, cause excessive weight gain, diabetes, Tardive Dyskinesia, tremors, anxiety, slurred speech, inner restlessness and a host of other adverse effects. Seems like a no-brainer. But, maybe, the wrong question is being asked. Maybe the question should be: what exactly is the upside of taking an antipsychotic?